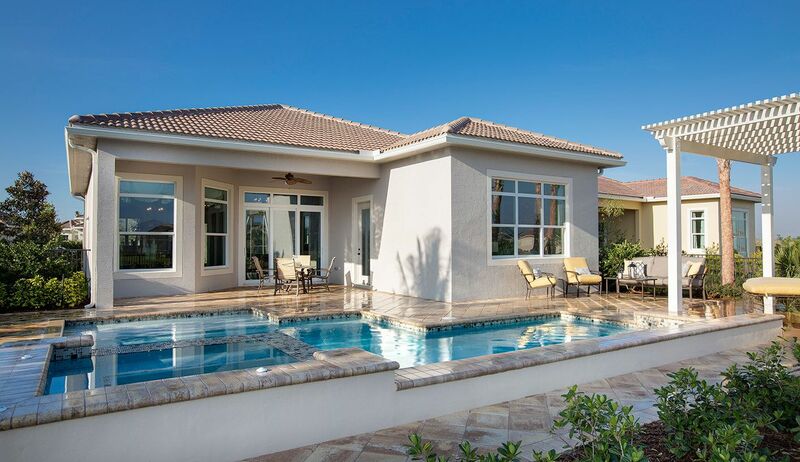 Resort-style living in the heart of Treasure Coast of Florida lies PGA Village Verano, a beautifully appointed community that offers a relaxing, social, and active South Florida lifestyle. Just beyond the grand, gated stone entranceway is a luxurious and all-inclusive 3,000 acre community complete with breathtaking homesite views, championship golf, and resort-inspired amenities. Here, you can enjoy 54 holes of PGA Championship Golf and the PGA Center for Golf and Learning Performance plus you have exclusive access to Club Talavera, the social centerpiece of the community, complete with Fitness Center; Yoga and Aerobics Studio; Tennis Complex; Resort-style Pool; Junior Olympic Size Indoor Lap Pool; Full-time Lifestyle and Activities Director; and Wellness Programs and Social Events. Our Club is designed for our residents to enhance their skills and learn new hobbies all the while creating lifelong friendships. At PGA Village Verano, you cannot help but live a healthier, happier, and more social lifestyle. Minutes away from this ideally located community are restaurants, entertainment, shopping, and sport venues. Numerous nearby parks provide ample opportunity to get in touch with nature. You will also find the finest medical care with three renowned hospitals nearby. PGA Village Verano is also a short drive to the Palm Beaches, providing no shortage of shopping and entertainment. With close proximity to I-95, the Florida Turnpike and international airports, travelling is quite convenient. With this gorgeous and tranquil yet central location along with championship golf and extraordinary amenities, life at PGA Village Verano is resort-style living at its finest. Tour the 11 new Decorated Model homes today. NOW OPEN: Cresswind at PGA Village Verano, an active adult neighborhood within the gates of PGA Village Verano!